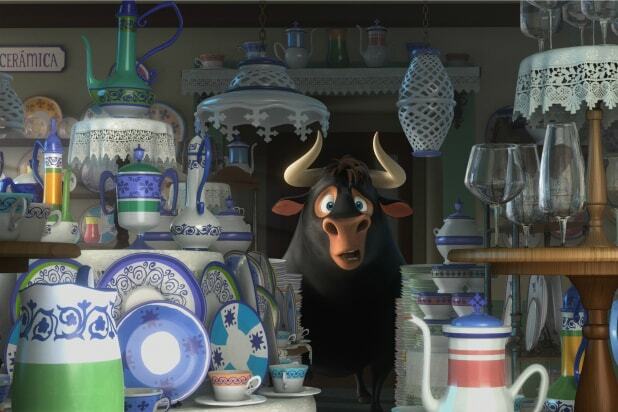 You won’t be surprised to learn that “Ferdinand,” the new animated feature based on the beloved 1936 children’s book, manages to find a way to put the titular bull into a literal china shop. What might shock you, however, is that that sequence features some of the most brilliantly sustained slapstick of any movie in recent memory. It’s a simple tale of a bull who would rather sit in the shade and sniff flowers than face off with matadors in the ring, and while this choose-your-own-life’s-adventure trope has been somewhat overused since “The Iron Giant,” there’s enough energy and silliness to keep this latest tale humming. It certainly doesn’t hurt that director Carlos Saldanha (“Rio 2”) imbues the film with a visual style (both in character design and the backgrounds) so often missing from the three “Ice Age” features bearing his name. Given its setting, it’s somewhat of a disappointment that “Ferdinand” can’t be as Spanish as “Coco” is Mexican; the movie nails the Iberian nation’s topography and the faces of its citizens, to say nothing of those distinctive orange Madrid recycling bins, but the lead voice roles went to the very funny, but very Anglo, John Cena and Kate McKinnon. When we meet young Ferdinand (voiced by Colin Murphy), he and several other young bulls are training at the Casa del Toro; the other calves want nothing more than to follow their fathers into the arena to face off with matadors, but Ferdinand has a kind soul and would rather take care of plants. (Cows are nowhere to be found in this universe.) Ferdinand’s father (Jeremy Sisto) is the most understanding pop this side of “Call Me By Your Name”: when Ferdinand says he doesn’t want to fight, dad says, “I wish the world could be like that for you,” but the other young’uns taunt and, well, bully him. After his father gets picked to fight — and doesn’t come home — an upset Ferdinand runs away and eventually meets Nina (Katie Silverman), whose father just happens to own a flower farm. Girl and bull become inseparable, and their coziness (Ferdinand sleeps in her room, Ferdinand sticks his head through the kitchen window for snacks) leads to some hilarious sight gags when Ferdinand becomes full-grown (and voiced by Cena), and huge even by bull standards. When he accidentally destroys the village’s annual flower festival (including his hilariously ungainly mustn’t-break-anything acrobatics in that aforementioned china shop), Ferdinand is sent back to the Casa del Toro, where “comfort goat” Lupe (McKinnon) takes it upon herself to become his coach. But when Ferdinand discovers that getting sent to the bullring is no better than being shipped off to the local slaughterhouse (or “chop shop,” in this film’s parlance), he hatches a plan to spring himself and his bovine brethren. “Ferdinand” will keep children and their parents entertained – young non-conformists in particular will take this hero to heart – and the growing anti-bullfighting wave in Spain and elsewhere will no doubt find this empathetic tale to be a handy recruiting tool. 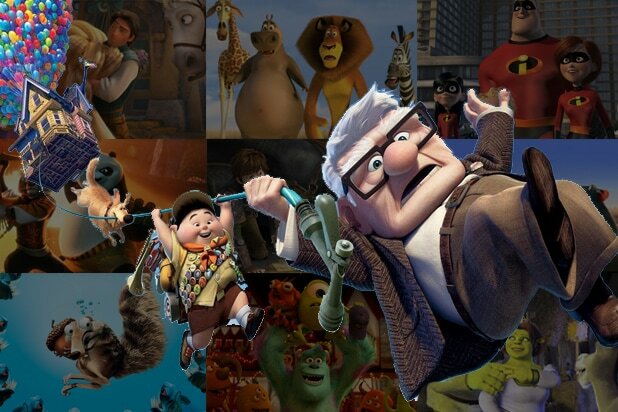 It’s not a movie that rewrites the rules of animation, but as a charming fable for children, it passes the sniff test.